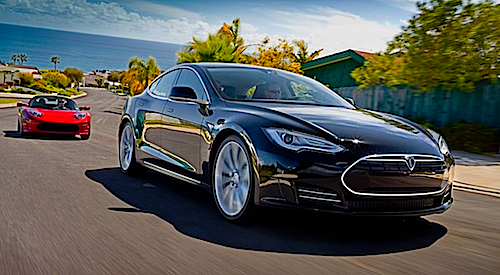 Edmunds will test the Tesla Model S it bought on its own terms. Times are changing when even the most gasoline ferocious news outlet buys an electric car to see what the fuss is all about. Edmunds Comes of Age. It’s true that if you picked up any car magazine and website a decade ago, the landscape was very, very different. Cars were coming out in a predictable manner, with their automatic yearly facelifts and a car industry coaxing buyers into exchanging for new. Then, 99% of the news was around the internal combustion engine (ICE) and maybe some talk about the newly introduced hybrid. Edmunds hasn’t been tender with electric cars but one thing we all desperately crave is impartial, unbiased info, a rarity these days of attention grabbers. It will be interesting to see how Edmunds rates the Model S. On the one hand, Edmunds is known for its frank point of view, as well as being very partial to gasoline cars but not electrics. Of all the electric cars to be tested, the Model S makes the most sense because it is the one electric car you could bring anywhere that would hold its own. All in all this shows us the electric car is very well entrenched in our landscape and will only grow in number and adoption as it matures. Edmunds certainly is showing the automobile news industry is coming to terms with what essentially boils down to yet another choice for consumers with electric cars and their purchase of a Tesla Model S test driving lends credence.